OK, you may have a bunch of audio effects, but shaping them with automation events in your DAW can quickly kill your creative flow. 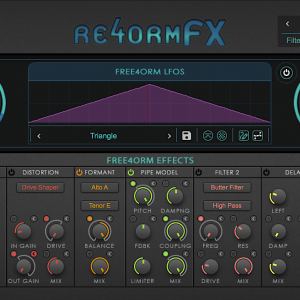 RE4ORM FX keeps it simple and fun by letting you draw your remixing effects. Risers, Pitchers, Filter Drops and so much more. Welcome to an easy, precise, powerful remixing tool with amazing sonic results. 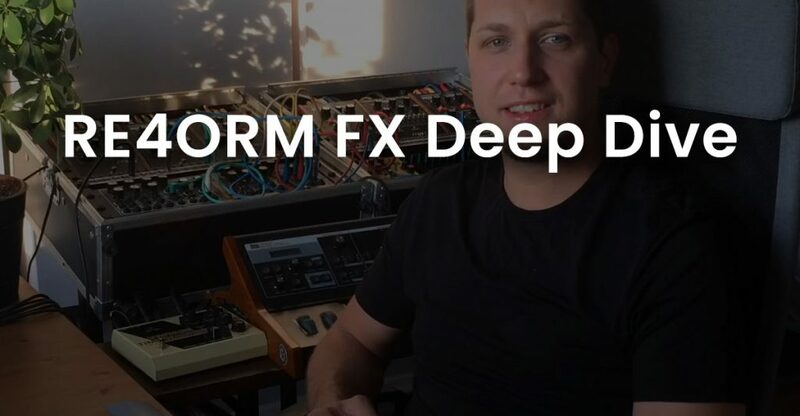 RE4ORM FX eight Free4orm LFOs let you select, draw and warp the audio shape of up to 20 different filters, distortions, pitchers and panners. Use them one at a time or chain them together for something completely new. Over 60 factory presets get you started with Risers, Crushers, Pitchers, Spaces, Rhythm and so much more. In our opinion, no plugin is worth its name if you can’t play it live. 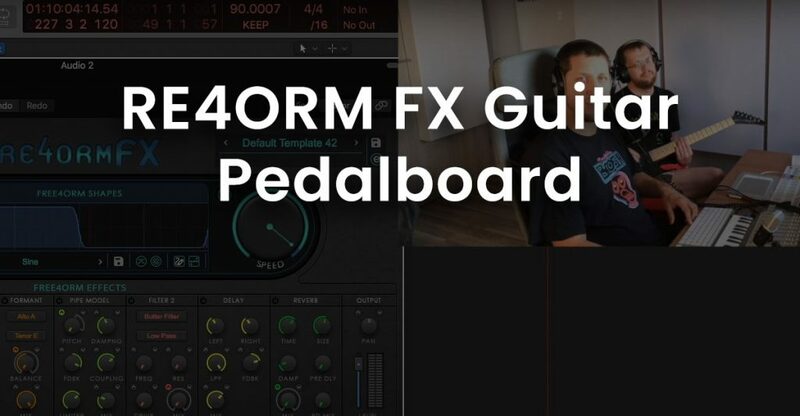 Every RE4ORM FX parameter can be assigned to your MIDI controller and played live, including individual effects mutes and independent range controls. Click on the pins for a description. Select from over 50 factory Free4orm LFO shapes or make your own. You can draw, warp, flatten, sharpen and drag them until you have just what you need. 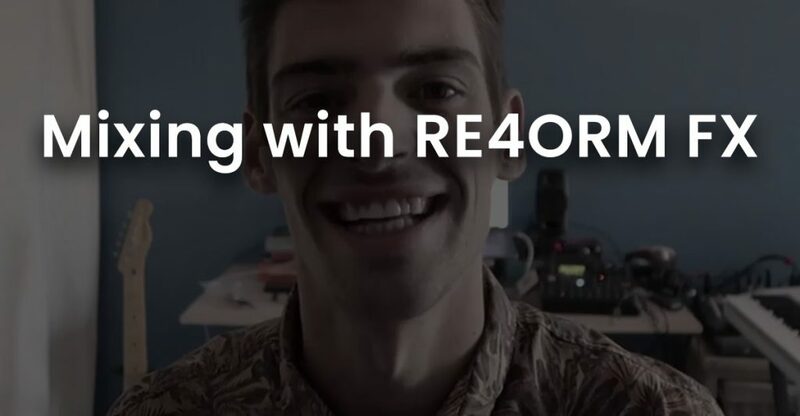 Free4orm LFOs are tempo sync'd to your song. They can be as long as 8 bars for risers or as short as 64th notes for glitch effects. RE4ORM FX's built in compressor gives you dynamic control over your audio track before running it through the Free4orm Effects. Select from 2 or 4 pole Low Pass, High Pass, Band Pass, Notch, and Peak filters. Wavefolder and Drive Shaper distortion effects can be subtle to extreme. Reverse modulation modes let you drive your distortion hard while managing the input and output levels perfectly. The formant filter makes your audio "talk" in 25 different vowel shapes. The Pipe Model puts your audio track through a large tube with controllable pitch, feedback, damping and coupling control. Use this to pitch drums or add an otherworldly texture. Three additional filters for additional timbre control at the mid-point of the effects chain. The Butter Filter is a modified Butterworth filter designed by Patrice Tarabbia, a 2getheraudio engineer. Sometimes referred to as the Tarabbia Filter, this filter is smooth as butter. Two versions, low pass and high pass, are available. The third filter is a Driven Low Pass, essentially a low pass with some extra drive and distortion characteristics. 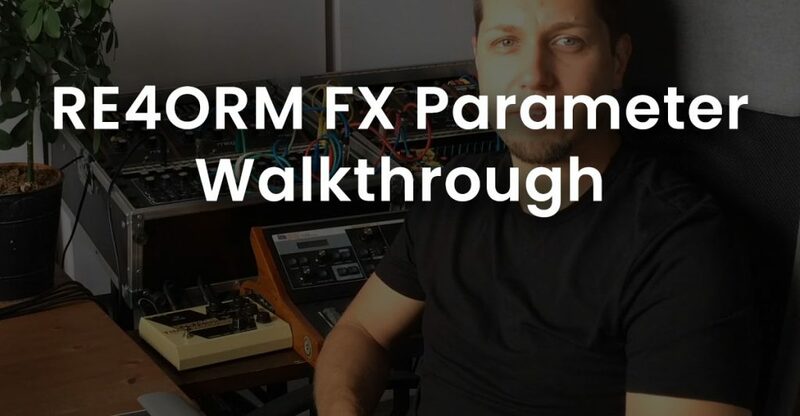 More than an ordinary delay, RE4ORM FX's stereo delay parameters can be modulated with a Free4orm LFO giving you delay effects as far as your imagination can take you. 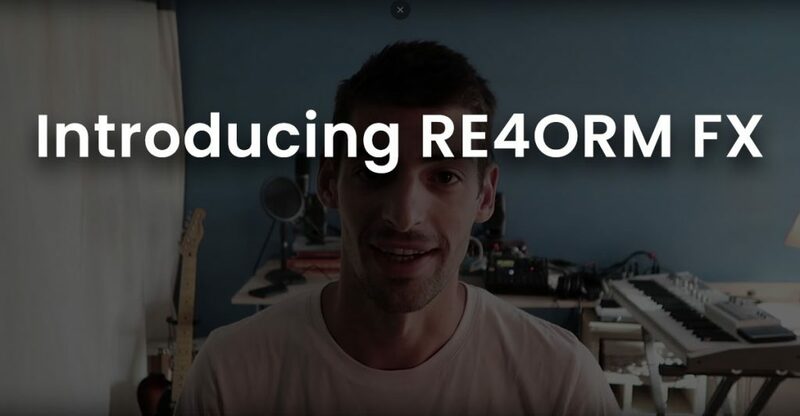 Not only is RE4ORM FX reverb extremely pristine sounding, but you can modulate its wet/dry mix in realtime with any Free4orm shape you come up with. Add some panning magic to your track. Free4orm shapes can throw your sound around the stereo field in mind bending ways. Dose your modulations for each of the panels in real-time. Automate for dramatic effects. 10% of your purchase will go to the cause you choose. I prefer not to give to a cause today. This is the average cost for this type of product in our industry. This option gives the most to charity and to 2getheraudio for developing new products. Please select this price if you can afford it. This is the discounted price for this product. Choose this if you are a student or on a limited budget. This product has a minimum price which hasn't been met. Why is there a minimum?